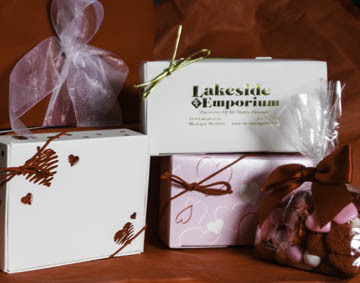 Beautiful gift containing a box of our delicious homemade fudge, a gift box assortment of succulent truffles, a box of chocolate and caramel pecan turtles, and an additional sweet treat themed for the holiday or occasion. Pictured is our Valentine Special. —-Note the internal packages will change in accordance with the holiday or occasion. 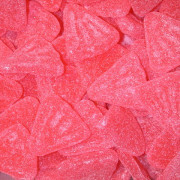 The pink version of our grapefruit slices. Very tasty! 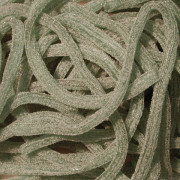 Sour coated straws in yummy green apple.